The College of Charleston Board of Trustees unanimously voted to appoint Dr. Andrew Hsu as its 23rd president, making him the first non-White president of the institution. Hsu’s diverse background and personal story played a big factor in the appointment, according to the trustees. 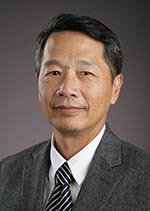 Hsu was born in China and currently serves as provost and executive vice president for academic affairs at the University of Toledo in Ohio, according to ABC-affiliate WCIV. He earned a master’s degree in hydraulic engineering at Tsinghua University in Beijing, and a master’s and Ph.D. in aerospace engineering from Georgia Institute of Technology. “His record of engagement with donors, with legislators, with students and alums, just an incredible track record, that’s what pushed me over the edge,” said David Hay, board chair. A start date for Hsu has not been set yet, however the college hopes to have him begin his duties by the middle of the spring 2019 semester.